Deals of the month. The best deals of June, which we calculate as the highest average discount off a vehicle's sticker price, include the Ford F-150 pickup, Acura ILX luxury car and Honda Pilot SUV. Check out the full list of the the top 10 best deals of June to see if one of the vehicles on your radar is among them. Chrysler recall. Do you own a Jeep Patriot, Compass or Wrangler? If so, you'll want to see if it's included in a massive 630,000 vehicle recall. 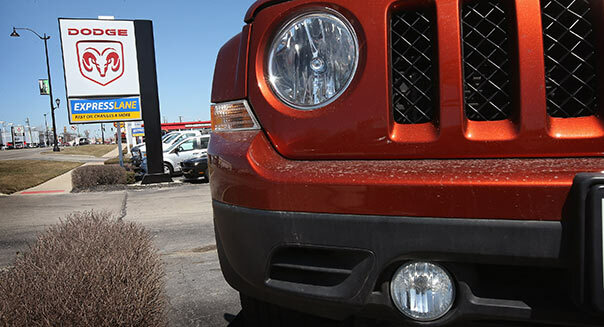 According to the National Highway Traffic Safety Administration, the Compass and Patriot SUVs have problems with their airbags and seat belts and Wranglers need to be fixed for transmission fluid leaks. Used car shopping. If you're in the market for a used car, June is a great month to shop for midsize sedans. According to data from Kelley Blue Book, values in this segment are down 6.2 percent. This means you can get a great previous generation Ford Fusion, Toyota Camry or Honda Accord, among others, for a very agreeable price. Autonomous cars coming. Industry insiders predict fully autonomous cars will be available by 2025, but a lot of the technology that helps cars drive themselves is already here. Check out some of the advanced safety systems that are coming to a car dealer near you.